The inside of the house is as important as the outside. The interior also deserves a great painting job whether it’s in the bedroom, kitchen, or the living room. 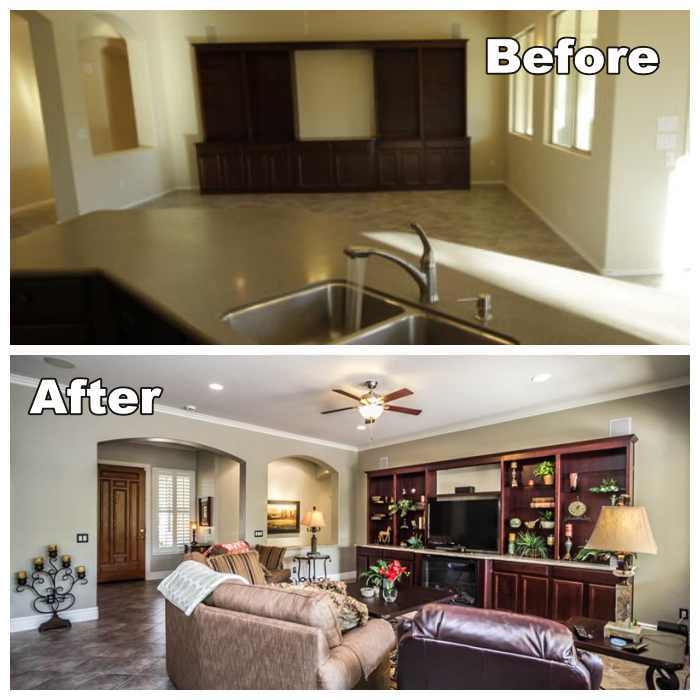 Gilbert’s Painting has a team of professional painters who provide a seamless, detailed interior painting service which will help beautify your home. Gilbert’s Painting offers professional interior house painting services which guarantee top quality results that you deserve. Our team of professional painters works effectively and determined to make your vision for your home come true. How much does it cost to get your house painted inside? The cost of getting the interior of a house painted ranges from $1,800-$4,000. It will depend on the total square footage of the room. The cost already includes planning, preparations, and painting. To get a clearer estimate, it is recommended to avail a free quote with our contractors. Request a free quote now by calling us at 480-495-1675 or leave a message by clicking here. How much does it cost to paint a 4 bedroom house interior? Typically, the cost to paint the interior of a 4-bedroom house ranges from $2,000-$4,000. Choosing colors for your house interior is important. Colors give life and make a room stand out. Some people also want the rooms to have the same color scheme or that they coincide with the overall theme of the house. How do I choose interior colors for my house? You can choose interior colors for your house by using your favorite colors and try to combine them with other colors. If you already have a color inspiration, that’s better. When picking a color for a room, it is best to consider how natural or artificial lighting can affect it. Another tip for choosing a color is to determine what kind of mood do you want to evoke with the room. If you have a hard time picking interior paint colors, Gilbert’s Painting has a wide array of color schemes to choose from. We can suggest what goes well with the overall look of the house. In the end, what you want is what we will follow. What wall colors are in for 2019? Removing old wallpaper is not an easy task. 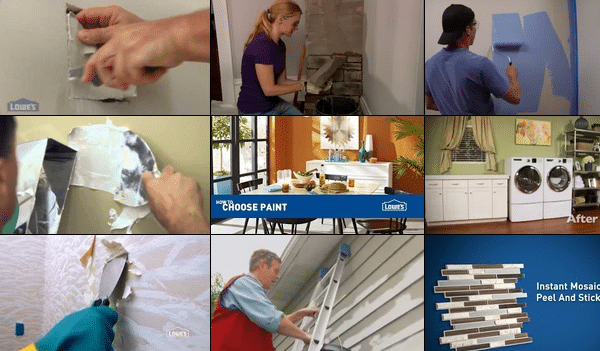 It is time-consuming and sometimes it can damage your walls if you are doing it by yourself. We at Gilbert’s Painting offer a wallpaper removal service which guarantees damage-free results at a low price. A smooth wallpaper removal will be a great help when reinstalling a new cover or when you decide to paint it over. Is it better to paint over wallpaper or remove it? The only time that it is better to paint over wallpaper is when you are only doing it by yourself. Otherwise, it is best to hire a licensed painting contractor to remove the wallpaper so that new paint can last longer. Getting a wallpaper removed means that damages in the wall can be fixed. Painting it over might just lead to even more damages in the future. How do you prep walls after removing wallpaper? If you want to install a new wallpaper or paint the walls, thorough preparation is needed to ensure that the walls have no damages. First, you need to scrape off old paper on the walls. Some use a white vinegar and water mixture for easy scraping. After scraping, you need to clean the walls with clean water to make sure that there is no residue left. Lastly, before you can paint over it, you need to sand the walls to make it smooth and then patch any holes or cracks. 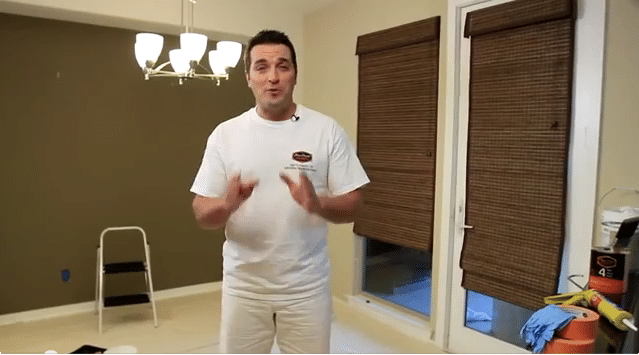 You can all do this on your own but if you don’t have the time or you want to make sure your walls are in great condition, Gilbert’s Painting is here for any interior painting services.